The queen of drama and controversy, the boss lady aka Huddah Monroe (Alhuddah Njoroge) is known to lead a lavish, flashy and flamboyant life. She is among the top socialites in Kenya and of late many have been questioning his source of wealth. As you all know, she owns expensive cars and she is always in and out of the country. In case you are hating or you are not sure, you need to know that she is a ‘farmer’ because that’s what she said but Vera sidika begged to differ and it led to a bitter fight. 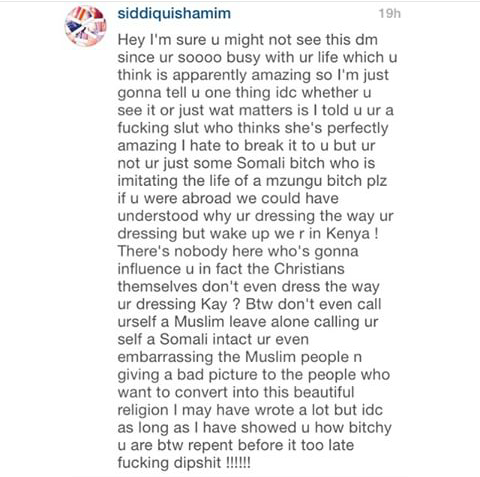 A few days ago one Muslim lady decided to attack Huddah Monroe and claimed that she is disgracing Muslims and that she should style up.